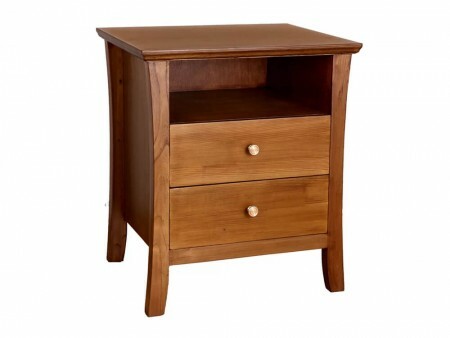 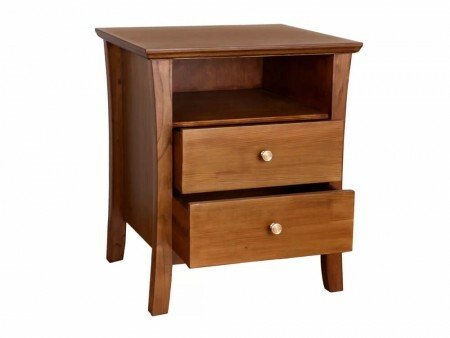 Our Gemini 2 Drawer Nightstand is the perfect combination of style and functionality. Although its design is simple it does have a very attracting appeal and it can be combined with countless colors and other furniture. It has 2 deep drawers and and opening that gives you even more space to store your personal items.